Yale Law School (often referred to as Yale Law or YLS) is the law school of Yale University, located in New Haven, Connecticut, United States. Established in 1824, Yale Law offers the J.D., LL.M., J.S.D., M.S.L., and Ph.D. degrees in law. The school's small size and prestige make its admissions process the most selective of any law school in the United States, with an acceptance rate of 6.7% in the 2017-18 cycle. Its yield rate of 85% is consistently the highest of any law school in the United States. Yale Law has been ranked the number one law school in the country by U.S. News and World Report every year since the magazine began publishing law school rankings. Widely considered to be the preeminent law school in the nation, it is one of the most prestigious law schools in the world. Yale Law has produced a significant number of luminaries in law and politics, including United States presidents Gerald Ford, Bill Clinton and former U.S. secretary of state and presidential nominee, Hillary Clinton. Former president William Howard Taft was a professor of constitutional law at Yale Law School from 1913 until he resigned to become chief justice of the United States in 1921. Alumni also include current United States Supreme Court associate justices Clarence Thomas, Samuel Alito, Sonia Sotomayor and Brett Kavanaugh, as well as a number of former justices, including Abe Fortas, Potter Stewart and Byron White; several heads of state around the world, including Karl Carstens, the fifth president of Germany, and Jose P. Laurel, the third president of the Republic of the Philippines; four current U.S. senators; the former governors of California and Rhode Island; and the current deans of three of the top fourteen-ranked law schools in the United States: Virginia, Cornell, and Georgetown. Each class in Yale Law's three-year J.D. program enrolls approximately 200 students. Yale's flagship law review is the Yale Law Journal, one of the most highly cited legal publications in the nation. According to Yale Law School's 2014 ABA-required disclosures, 88.3% of the Class of 2014 obtained full-time, long-term, JD-required or JD-advantage employment nine months after graduation, excluding solo practitioners. The institution is known for its scholarly orientation; a relatively large number of its graduates (9%) choose careers in academia within five years of graduation, while a relatively low number (46%) choose to work in law firms five years after graduation. Another feature of Yale Law's culture since the 1930s, among both faculty and student graduates, has been an emphasis on the importance of spending at least a few years in government service. A similar emphasis has long been placed on service as a judicial law clerk upon graduation. Its 7.6:1 student-to-faculty ratio is the third lowest among U.S. law schools. Yale Law does not have a traditional grading system, a consequence of student unrest in the late 1960s. Instead, it grades first-semester first-year students on a simple Credit/No Credit system. For their remaining two-and-a-half years, students are graded on an Honors/Pass/Low Pass/Fail system. Similarly, the school does not rank its students. It is also notable for having only a single semester of required classes (plus two additional writing requirements), instead of the full year most U.S. schools require. Unusually, and as a result of unique Connecticut State court rules, Yale Law allows first-year students to represent clients through one of its numerous clinics; other law schools typically offer this opportunity only to second- and third-year students. Students publish nine law journals that, unlike those at most other schools, mostly accept student editors without a competition. The only exception is YLS's flagship journal, the Yale Law Journal, which holds a two-part admissions competition each spring, consisting of a four or five-hour "bluebooking exam," followed by a traditional writing competition. Although the Journal identifies a target maximum number of members to accept each year, it is not a firm number. Other leading student-edited publications include the Yale Journal on Regulation, the Yale Law and Policy Review, and the Yale Journal of International Law. In November 2013, it was announced that a $25 million donation would bring student dormitory living back onto campus, with renovations to begin in 2018. Yale Law has been ranked the number one law school in the country by U.S. News and World Report in every year in which the magazine has published law school rankings. Among U.S. law schools, Yale has the lowest acceptance rate and the highest yield rate—whereas less than 10% of applicants are admitted, about 80% of those who are accepted ultimately enroll, either in the Fall following their acceptance or after a deferral. It is currently ranked as the second best law school in U.S (behind Harvard) and fourth in the world by the 2016 QS Rankings. The school also saw a greater percentage of its students go on to become Supreme Court clerks between the 2000 and 2010 terms than any other law school, more than double the percentage of the second-highest law school (Harvard Law School). In addition to producing the most Supreme Court clerks per capita, Yale saw a greater percentage of its graduates accept federal clerkships among the United States Courts of Appeal and District Courts than any other law school; more than one third of Yale graduates go on to clerk for a federal judge. Additionally, a 2010 survey of "scholarly impact," measured by per capita citations to faculty scholarship, found Yale's faculty to be the most cited law school faculty in the United States. The School began in the New Haven law office of Seth P. Staples in the 1800s, who began training lawyers. By 1810 he was operating a law school. He took on a former student, Samuel J. Hitchcock as a law partner, and Hitchcock became the proprietor of the New Haven Law School, joined by David Daggett in 1824. (The Yale Law School shield, shown at the upper right of this page, shows staples and a rampant dog, representing Seth Staples and David Daggett.) 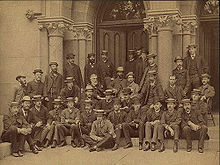 The school's affiliation with Yale began in the mid-1820s and in 1843, the school's students began receiving Yale degrees. Beginning in this period, a special relationship or connection developed between YLS and the United States Court of Appeals for the Second Circuit. Professors Clark and Frank, among others, became judges on that court. Some of the faculty members who became Second Circuit judges continued to teach courses at YLS and chose their clerks from student graduates. These judges influenced thinking in general at YLS and particularly reinforced student interest in public service, a characteristic tradition at YLS since the New Deal. The law school's 15th dean, Harold Koh (2004–2009), made human rights a focus of the law school's work, building on a tradition that had developed over the previous two decades. On March 23, 2009, the White House announced the appointment of Koh to the United States Department of State as the Legal Adviser of the Department of State. Robert C. Post was selected to replace him as dean of the law school. Yale Law School enrolls about 200 new students a year, one of the smallest numbers among U.S. law schools. Its small class size and prestige combine to make its admissions process the most competitive in the United States. Half of the class that entered in 2015 had a GPA above 3.93 and/or an LSAT score above 173 (on a possible scale of 120 to 180) or 99th percentile. After an initial round of screening by the admissions department, approximately 25% of applications are independently evaluated by three different faculty members. Each application is scored from 2–4 at the discretion of the reader. All applicants with a perfect 12 (i.e., a 4 from all three faculty members) are admitted, upon which they are immediately notified by the school. There are also 50–80 outstanding students admitted each year without going through this review process. The LL.M. Program and the Visiting Researchers Program at Yale Law are amongst the smallest and most selective graduate law programs in the United States. Yale Law admits around 25 LL.M. students and around 10 visiting researchers every year. These programs are usually limited to those students who intend to pursue a career in legal academia. Yale Law admitted only men until 1918. According to Yale Law School's official 2013 ABA-required disclosures, 78.8% of the Class of 2013 accepted full-time, long-term, JD-required employment nine months after graduation, excluding solo-practitioners. Yale Law School's Law School Transparency under-employment score is 8.4%, indicating the percentage of the Class of 2013 unemployed, pursuing an additional degree, or working in a non-professional, short-term, or part-time job nine months after graduation. The mean salary for a class of 2014 graduate 10 months after graduation was $109,102. The law school was ranked # 17 of all law schools nationwide by the National Law Journal in terms of sending the highest percentage of 2015 graduates to the largest 100 law firms in the US (23.58%). 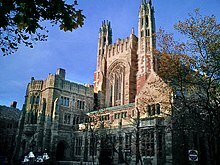 The total cost of attendance (indicating the cost of tuition, fees, and living expenses) at Yale Law School for the 2015–2016 academic year is $78,326. The Law School Transparency estimated debt-financed cost of attendance (including cost of living) for three years is $289,879. The Yale Law School houses over two dozen clinics that allow students to represent clients in real-world legal problems. Participation in clinics is common among Yale Law students, with over 80% of degree candidates participating in clinical activities prior to graduation. Yale Law's clinics cover a wide range of issue areas and legal fields. Students represent clients before courts at all levels of the federal judiciary, state courts in Connecticut and other states, international tribunals and adjudicative bodies, administrative processes, and private arbitration. The Yale Law School has greatly expanded its clinical programs in recent years, adding eight new clinics during the 2016-2017 academic year. Bruce Ackerman, constitutional and political science scholar, op-ed writer, and Sterling Professor. Akhil Amar, leading constitutional law scholar, writer and consultant to the television show The West Wing, and Sterling Professor. Ian Ayres, law and economics scholar, author of Why Not? and frequent commentator on NPR's Marketplace program. Jack Balkin, First Amendment scholar, legal blogger, founder and director of the Yale Information Society Project. Aharon Barak, former president of the Israeli Supreme Court from 1995 to 2006. Stephen Bright, human rights attorney and former director of the Southern Center for Human Rights. Lea Brilmayer, expert in international law, conflict of laws, and personal jurisdiction. Guido Calabresi, judge on the United States Court of Appeals for the Second Circuit, Sterling Professor, and former dean of the Yale Law School. Lincoln Caplan, author, journalist, Truman Capote Visiting Lecturer in Law and Senior Research Scholar in Law. Stephen L. Carter, William Nelson Cromwell Professor of Law and author of a number of books, including the novel The Emperor of Ocean Park. Amy Chua, international affairs scholar and author of Battle Hymn of the Tiger Mother and World on Fire: How Exporting Free Market Democracy Breeds Ethnic Hatred and Global Instability. Mirjan Damaška, Sterling Professor, comparative criminal law scholar, and advisor to various international tribunals, including the International Criminal Tribunal for the former Yugoslavia and the International Court of Justice. Drew S. Days, III, former United States Solicitor General. Robert Ellickson, property and land use law scholar. E. Donald Elliott, former General Counsel of the Environmental Protection Agency and co-chair of the Environmental Practice at Covington & Burling. William Eskridge, constitutional law scholar, legislation and statutory interpretation scholar, and one of the most cited law professors in the U.S.
Daniel C. Esty, environmental law and policy expert, former Commissioner of the Connecticut Department of Energy and Environmental Protection, and director of the Yale Center for Environmental Law and Policy. Owen M. Fiss, liberalism and free speech scholar and Sterling Professor. Heather K. Gerken, election law, federalism, and constitutional law scholar. Abbe R. Gluck, expert on legislation, civil procedure, and health care law and policy. Linda Greenhouse, Pulitzer prize winning author and New York Times correspondent covering the Supreme Court of the United States for more than 30 years. Henry B. Hansmann, law and economics scholar, and leading theorist on organizational ownership and design. Dan M. Kahan, criminal law and evidence scholar, director of the Supreme Court Advocacy Clinic. Harold Hongju Koh, international law expert, former dean of the law school, former Legal Adviser of the Department of State, and Sterling Professor. Anthony T. Kronman, Sterling Professor and leading scholar on contracts, bankruptcy, jurisprudence, social theory, and professional responsibility. Douglas Kysar, torts, environmental law, and risk regulation scholar. John Langbein, legal historian and trusts and estates scholar. Jonathan R. Macey, corporate/banking law scholar. Daniel Markovits, law and philosophy scholar. Jerry L. Mashaw, administrative law scholar and Sterling Professor. Douglas NeJaime, family and constitutional law scholar. Robert C. Post, constitutional law scholar with a particular focus on the First Amendment and equal protection. George L. Priest, antitrust scholar. W. Michael Reisman, international law scholar and former President of the Inter-American Commission on Human Rights. Jed Rubenfeld, constitutional theorist and criminal law scholar. Judith Resnik, expert on federal courts, procedure, federalism, prisons, and citizenship. Roberta Romano, corporate law scholar, and first female Sterling Professor at the Yale Law School. Carol Rose, expert on land use, property, environmental law, natural resource law, and intellectual property law. Alan Schwartz, corporate law scholar and Sterling Professor. Reva Siegel, constitutional law scholar with a particular focus on social movements and equality. Kate Stith, constitutional law and criminal procedure expert. Ralph K. Winter, Jr., senior circuit judge and former chief judge, United States Court of Appeals for the Second Circuit. Michael Wishnie, clinical professor, expert on immigration. John Fabian Witt, legal historian. Stephen Wizner, William O. Douglas Clinical Professor of Law. ^ As of September 24, 2015. Martin, Timothy (2015-09-24). "Yale beats Harvard, As Usual". WSJ. ^ a b "Entering Class Profile - Yale Law School". law.yale.edu. ^ "2017 Raw Data Law School Rankings: Acceptance Rate (Low to High)". Internet Legal Research Group. Retrieved December 15, 2016. ^ "Yale Crowned Top Law School In 2017 U.S. News Ranking". Retrieved October 2, 2016. ^ ABA Journal Archived 2012-07-16 at Archive.today, "It's Official: Yale Law School Tops US News Rankings," April 23, 2009 (2010 rankings). See also: Yale Daily News Archived 2011-03-22 at the Wayback Machine, "Yale Law still number one," March 16, 2011 (2012 rankings). ^ "The Real Top Ranked law Schools". Retrieved February 19, 2017. ^ Zaretsky, Staci (October 13, 2016). "Dean Of Most Prestigious Law School In America To Step Down". Above The Law. Retrieved February 19, 2017. ^ "TLS Wiki: Yale Law School". top-law-schools.com. Retrieved February 19, 2017. ^ a b "Class of 2014 Employment". Archived from the original on 2016-01-31. Retrieved 2018-12-27. ^ Statement of Dean Harold H. Koh, "Yale Law School Expands Public Interest Program, Financial Support for Graduates," April 14, 2008. ^ Yale University. "Yale University | Best Law School | US News". Grad-schools.usnews.rankingsandreviews.com. Retrieved 2016-01-21. ^ Kingkade, Tyler (2013-11-07). "Yale Law Will Bring Back Dorms Thanks To $25M Donation". The Huffington Post. Retrieved 8 November 2013. ^ 2009 Top-law-schools.com ("Since US News began ranking schools, Yale Law School has always held the #1 position...."). See also ABA Journal Archived 2012-07-16 at Archive.today, "It's Official: Yale Law School Tops US News Rankings," Apr. 23, 2009 (2010 rankings). ^ "Entering Class Profile - Yale Law School". www.law.yale.edu. ^ "Yale Crowned Top Law School In 2017 U.S. News Ranking". 16 March 2016. 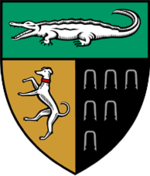 ^ "Top Law Schools in 2016". QS World University Rankings. Retrieved 25 August 2016. ^ Leiter Rankings: Clerkship Placement. However, because of its greater size, approximately 2.5 times that of Yale, Harvard had a greater total number of Supreme Court clerks—approximately 25% more. Id. ^ "Law school microranking: federal judicial clerkship placement, 2011-2013". ^ "The 24 best law schools for securing federal clerkships". ^ "Brian Leiter Law School Faculty Moves, 1995–2004". ^ "Our History – Yale Law School". Law.yale.edu. Retrieved 2016-02-08. ^ Robert Post LAW ’77 named Law School dean | Yale Daily News. Yale Daily News (2009-06-22). Retrieved on 2013-08-12. ^ "Entering Class Profile, Yale Law School". Retrieved 2015-11-26. ^ "The Official YLS Admissions Blog". Retrieved 2016-02-08. ^ "– p. 141" (PDF). ^ Stevens, Robert Bocking. Law school: legal education in America from the 1850s to the 1980s p. 84. Link to page in Google Book Search. ^ "Class of 2014 Employment – Yale Law School". www.law.yale.edu. Archived from the original on 2016-01-31. Retrieved 2016-01-19. ^ "Employment Summary for 2014 Graduates". Archived from the original on 2016-01-31. Retrieved 2018-12-27. ^ "The Top 50 Go-To Law Schools". ^ "Student Budget & Cost of Attendance". ^ "Yale University Expense Profile". ^ "Clinical and Experiential Learning – Yale Law School". ^ "New Clinics Debut at Yale Law School". ^ "Deans of the Law School". Yale Law. Archived from the original on 2010-06-13. ^ a b c Deans of the Law School | Yale Law School Archived 2010-06-13 at the Wayback Machine. Law.yale.edu. Retrieved on 2013-08-12. ^ "Centers & Workshops – Yale Law School". Kronman, Anthony T. (2004). History of the Yale Law School: The Tercentennial Lectures. New Haven, Connecticut: Yale University Press. 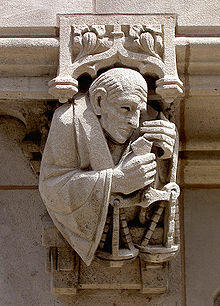 Wikimedia Commons has media related to Yale Law School.